- Information received from Sylvain Le Stum / Andre Blaize. 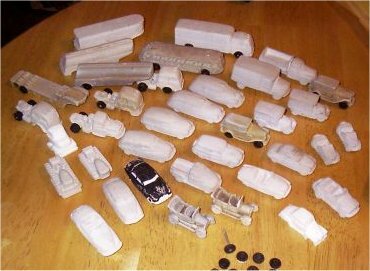 A series of 31 different kinds of vehicles which were made of plaster and urea-formaldehyde resin, mostly reproductions of American cars from the late 1940s and early 1950s. 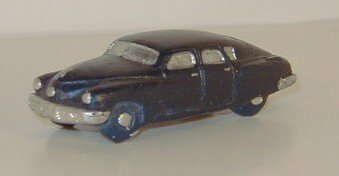 Made by Lee Stokes Industries, a company founded by Lee Stokes in 1945 in New Oxford, PA. 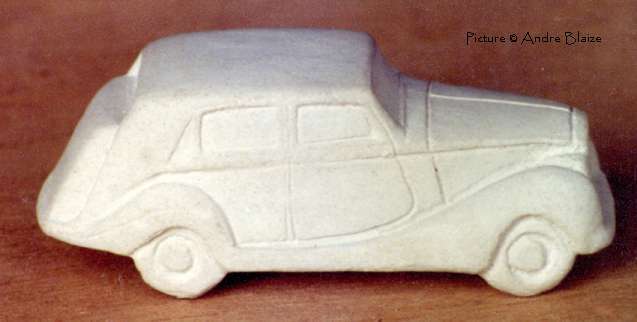 Most models are rather crude, the wheels are part of the carbody for instance. Apart from that they are accurate with a kind of 'cartoon' look to them. 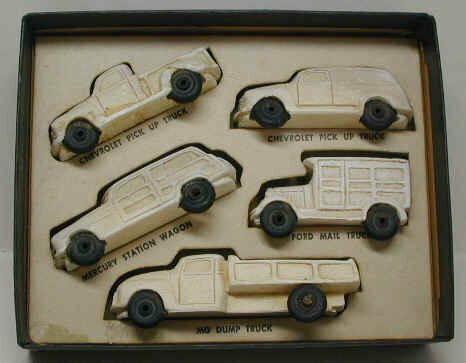 The models were sold unpainted, usually in kits of 6 that included bottles of paint and a paint brush. Some were marked on the bottom with the name 'STOKES', most were not. 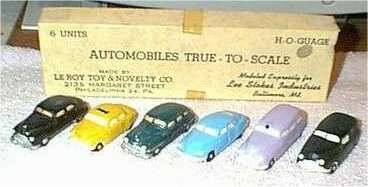 Apart from the models in 1/87 scale a few were made in 1/43 scale. The company closed its doors in 1955. Some of the Le Roy / Lee Stokes may have been re-issued by RCB because the lists are remarkably alike. 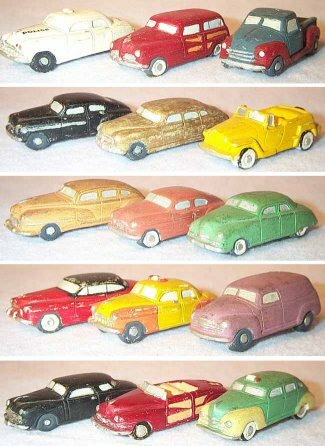 Some models seem to have been re-issued / available during the 1980s and 1990s under the ' RCB' brand (Mercury Station-wagon, Chevrolet Fleetline, Chrysler Town and Country, Ford convertible, Frazer sedan). Who knows more ? 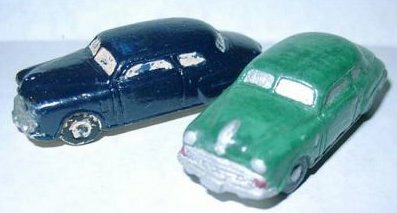 Other models, like the Packard convertible and the Tucker Torpedo could have been used as masters for the current models in the Greg's Garage range. 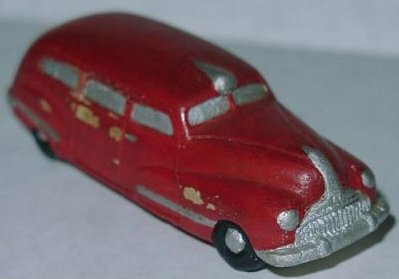 Any information ? Any information you may have on the open items is welcome !